We supply only ethical coffee and related products to retail consumers, and foodservice and other trade and business buyers. If you want to buy only coffee and other foodservice products produced according to strict ethical and green principles, but without compromise on quality, you have arrived at the right place. It's not just a sideline for us! Our mission is to promote the principles of fair trade, and ecological and environmental responsibility, by selling only coffees which have been produced and traded in accordance with recognised ethical and environmental standards. 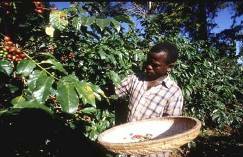 ALL our coffees are certified by the Fairtrade Foundation, or by the Rainforest Alliance, or are from producers recognised as operating to the same eco principles, such as the Hope Project in Tanzania. 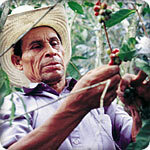 Many of our coffees are also Soil Association organic certified. 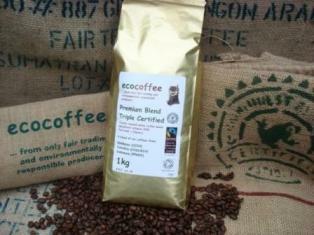 There is more information at www.ecocoffee.co.uk about our coffees and the producers.